Story courtesy of The Rhino Orphanage. Yesterday turned into a very productive day at the Orphanage. 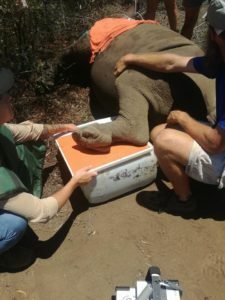 Two of our rhino orphans needed a vet checkup. Tshepo, who has been battling with oedema around his mouth and lips and Kabelo who had an injury to his left hind leg and was limping. 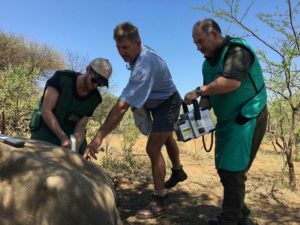 Our vet dr Pierre teamed up with dr Johan Marais from Saving The Survivors to get the two rhinos x-rayed and blood samples taken. 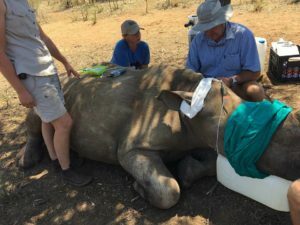 And of course our team of carers and volunteers assisted with monitoring the vitals and keeping the animals cool whilst they were sedated. We are awaiting the results of Tshepo’s bloodwork and x-rays to determine the cause of the oedema. Kabelo was diagnosed with mild physitis (inflammation due to an injury of the growth plate in his ankle) but the vets are positive that he will make a full recovery very soon. 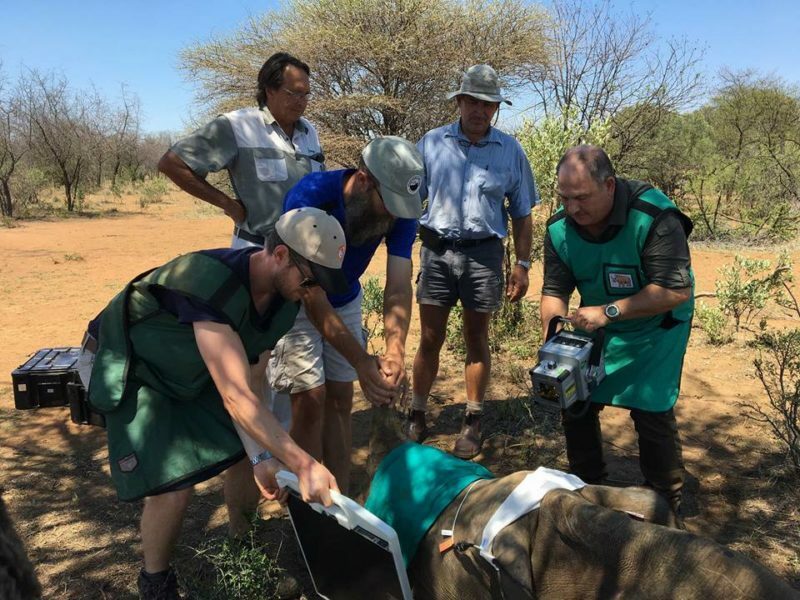 The vets also made use of the opportunity to take x-rays of healthy rhino legs (specifically the patella) to use as a comparison in order to treat an injured rhino in another facility. Dr Bester also drew some extra blood for serum. We centrifuge the blood and collect the plasma, which is stored frozen and used to treat eye injuries. Wild Heart Wildlife Foundation the pulse oxymeter you donated really made a huge difference in monitoring the animals whilst under sedation. Thank you.